Before becoming a cornerstone of the national music scene and a Twin Cities cultural landmark, First Avenue was an art deco style Greyhound bus station built in 1937 called The Depot. 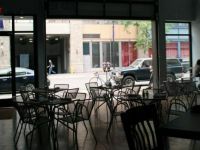 In June 2010, the historic downtown Minneapolis nightclub opened The Depot Tavern, a new bar and restaurant next door to the 7th St Entry. 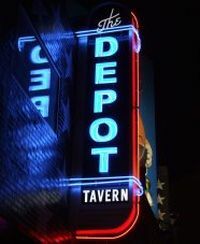 Walls adorned with concert photography spanning the club’s 40-year history, and featuring live video feeds from both the Mainroom and the Entry on multiple widescreen televisions, The Depot Tavern is an exciting addition to the First Avenue family. Stop by for a bite and a drink before the show (or the game). The Depot Tavern is your neighborhood bar downtown.